The primary goal of my recently published scholarship has been to challenge a number of long-standing assumptions regarding various aspects of Japanese society before the Meiji period, and secondarily to examine briefly these same aspects of Japanese society in the early twenty-first century. In this scholarship I have focused on the construction of individual identity, aggressive pursuit of self-interest, defiant practice of forbidden religious traditions, interest in self-cultivation and personal betterment, understandings of happiness and well-being, and embrace of “neglected” counter-ideological values. 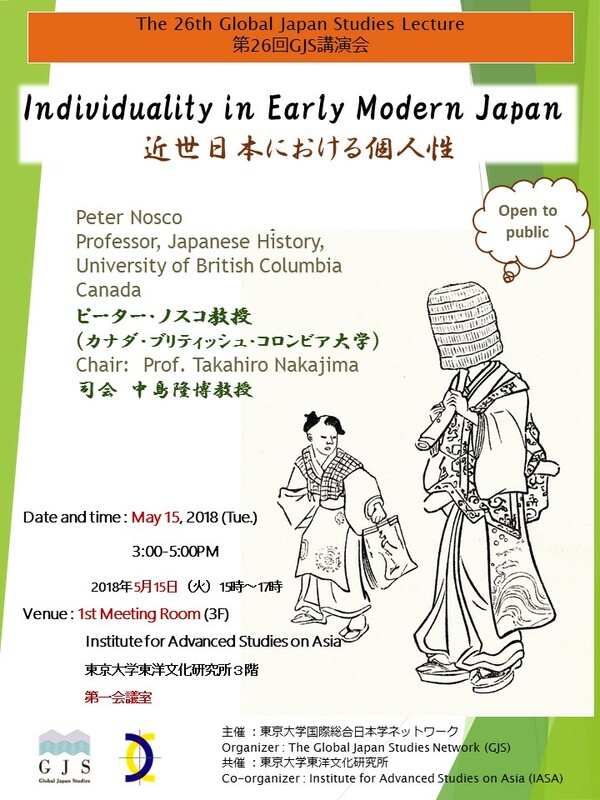 In the book--and in this presentation--I argue that taken together these point to higher degrees of individuality in early modern Japan than has heretofore been acknowledged, and I invite consideration of whether these aspects of individuality in Japan may have been more prominent two centuries ago than today.